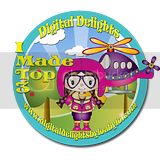 Share your Digital Delights projects with us! 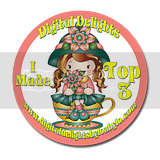 Won a challenge, take your choice of badge for your blog!! All content, including designs, concepts, text, and photographs are COPYRIGHT ©2015 Wendy Hall & the DT. Original artworks are shared for your personal inspiration and enjoyment only and may not be used for publication, duplication to resell or to enter in contests. Thanks so much for your support!